The 2018 ESPO Conference will take place in Rotterdam on 31 May and 1 June and will be hosted by the Port of Rotterdam. In order to give you a better insight into the port that is hosting the ESPO Conference, we interviewed Mr. Allard Castelein, CEO of the Port of Rotterdam. What are his views on port investments? What about the container business in his port? How will Brexit affect the Port of Rotterdam? What have been his biggest achievements and challenges so far? The 2018 ESPO Conference, taking place on 31 May and 1 June in Rotterdam, will focus on investing in the port of tomorrow. Currently, ESPO is asking for more EU budget to be allocated to the transport sector, including port investments. Do you support this request? Why is it important for the EU to keep on investing in ports? The EU has invested in several transport projects in which the Port of Rotterdam is involved. These projects would not have been realised without the financial contribution of the EU. The current realisation of the Theemsweg route in Rotterdam is a perfect example of such a project, but also a few LNG related infrastructure projects like the LNG Masterplan. These projects are serious game changers in the development of stronger, sustainable and bottleneck free EU transport corridors. Not only do these projects have significant importance for the Port of Rotterdam, but they also improve the hinterland connections and therefore the overall economical position of the EU. This ambition will always need the support of the EU in order to improve and maintain its competitive position. The Port of Rotterdam, as other ports, faces several challenges is faced with several challenges such as connectivity, sustainability and digitalisation. Achieving these goals without the involvement of public entities such as the EU is highly unlikely, or very difficult to say the least. Therefore, the Port of Rotterdam encourages the EU to keep investing in ports, which in turn encourages the ports to keep on doing their part. Container throughput in the Port of Rotterdam grew strong last year. What are the growth projections for the years to come? What are the main challenges? The Port of Rotterdam has had a very good year in 2017. Led by the container sector, goods throughput rose to a record level. The container sector is particularly important because it plays an essential role in creating added value such as employment in the port and the hinterland. Rotterdam's share of the container market is now at its highest level since 2000 at 31% (2017 through to Q3). Most growth was seen for Asia and South America and traffic from North America. Feeder volume in particular grew strongly by 21% (TEU) for all European shipping areas and in particular Scandinavia and the Baltic states. Growth in short sea amounted to 10.2% (TEU), with a particularly sharp increase in throughput for services to and from the Mediterranean and ScanBaltic. The hinterland volume rose by 6.3%. This growth and the increase in feeder volume confirm the strong position of Rotterdam in the networks of container shipping companies and major alliances. The Port Authority expects the throughput volume to further increase in 2018, with growth in the container sector being lower than the exceptional growth in 2017. The Commission has declared 2018 as the Year of Multimodality. Do you believe it is important to put an emphasis on multimodal transport? What should happen as to make multimodal transport more attractive? Thanks to high-frequent multimodal connections, the Port of Rotterdam offers excellent connections to the European hinterland. Due to the proximity of the Rotterdam area, employers can make use of a large pool of highly-educated logistics staff. Companies can benefit from optimised, multimodal accessibility and the port’s proximity to a large number of clients, suppliers and labour force. This offers numerous opportunities for growth and innovation. We have started constructing the infrastructure for the Container Exchange Route (CER). The CER will link the deepsea container terminals, empty depots, rail terminals and distribution companies at the Maasvlakte. The goal of this project is to reduce exchange costs between the various companies located at the Maasvlakte and further improve connections with the European hinterland. In addition, we are investing in the re-routing of part of the Port railway line which will eliminate a major rail traffic bottleneck. Trade with the UK is important for the Port of Rotterdam. The Brexit might pose challenges for trade between the UK and EU. What are the main challenges you see for the Port of Rotterdam as a result of the Brexit? Are you already taking measures to cope with those challenges? Brexit will harm economic growth and increase costs for the UK and for us. Therefore, it is our job to help prepare the Port of Rotterdam for Brexit. Regarding Brexit, we are preparing for the worst case scenario: no trade agreement, just a standard WTO arrangement. Brexit demands an active commitment from the business community but also from the Dutch government and from the EU. We call upon all parties to step up their efforts. The impact of Brexit on trade flows between the UK and Rotterdam heavily depends on the result of negotiations between the UK and the EU. We anticipate that transport by ferry, short sea (fruit, vegetables and other containerised goods) will be hit the hardest by the new customs barriers. Under a worst case ‘no deal’ Brexit scenario, Port of Rotterdam could stand to lose between 3,9% and 4,2% of cargo handling. Regardless of how Brexit will be implemented, Rotterdam is committed to keep strengthening its position as the largest seaport in Europe. The Port of Rotterdam aims to be an international leader in the global energy transition in order to combat climate change. Can you briefly explain the port’s strategy to make an energy transition possible? Are there also economic opportunities in making an energy transition? The Port Authority wants to develop the port into the foremost location where the energy transition can take shape. To realise this ambition, it is following an ‘and-and’ strategy: it not only facilitates existing, fossil-based industrial parties in the reduction of their CO2 footprint, it is also investing heavily in the development of sustainable, circular and bio-based industries and renewable energy. We are doing this by initiating concrete new activities in close collaboration with the private sector and government agencies. Our programmes focus on a range of areas, including Carbon Capture Storage (CCS), the conversion of waste into ‘green’ methanol, the use of residual heat rather than natural gas as a heating source for homes, greenhouses and businesses, and the facilitation of offshore wind. The theme of the ESPO Award 2018 will be “ports as a good work environment for everyone”. As a CEO, you are also responsible for creating a good work environment for your employees. What are your views on creating a good working environment? Has the port developed policies in this respect? Socially responsible employment is very important for us. It is the human factor that determines whether a port is successful, despite automation, the use of robots and other technological developments. A vital port is an inclusive port that offers employment directly and indirectly to all population strata. We constantly devote attention to the development and vitality of people, so that they can be employed in a sustainable way in the careers of the future. The Port of Rotterdam Authority offers its employees very modern office facilities. We have a special vitality programme which includes a state-of-the-art gym in the building. Port of Rotterdam has programmes in place for long-term employability and well-being for office workers and operational staff. Employees are encouraged to sign up to learning programmes to advance their personal career. Employees are allowed to do volunteer work for charities. As safety is a top priority for the Port of Rotterdam Authority we have implemented various safety policies. The Port of Rotterdam is partially embedded in the city. Having a good relationship with the city is therefore of paramount importance for the port. What are the main port-city challenges for Rotterdam? The transition towards sustainable energy and further digitalisation will have an impact on both the city and the port and requires strong collaboration. These transitions provide economic opportunities for both and require the ability to adapt. For example, the labour market needs flexibility and government policy should stimulate transition projects. Maintaining and enhancing Port of Rotterdam’s strong position in an intensely competitive global market place requires optimal infrastructural connections within the city area and towards the hinterland. Challenges in urban and port planning, like housing combined with port economic activities in city-port areas, have to be faced together. Fortunately, Rotterdam has a long tradition of 'public private partnership’ when it comes to port area development. The good relationship between the people of Rotterdam, its public representatives and the port remains the foundation on which these transitions can be effectively guided. During the last years, ESPO has been putting a lot of efforts in digitalising data on port performance within the PORTOPIA project (an FP7 project that aims to measure port performance). How is the Port of Rotterdam coping with the challenges of digitalization? Trends and developments in digitalisation are changing the environment in which we and our clients operate. The container market in particular is developing rapidly into a digital, platform-oriented market. The port must respond to this development if it is to maintain its sound competitive position. This is therefore a major challenge for the coming years. 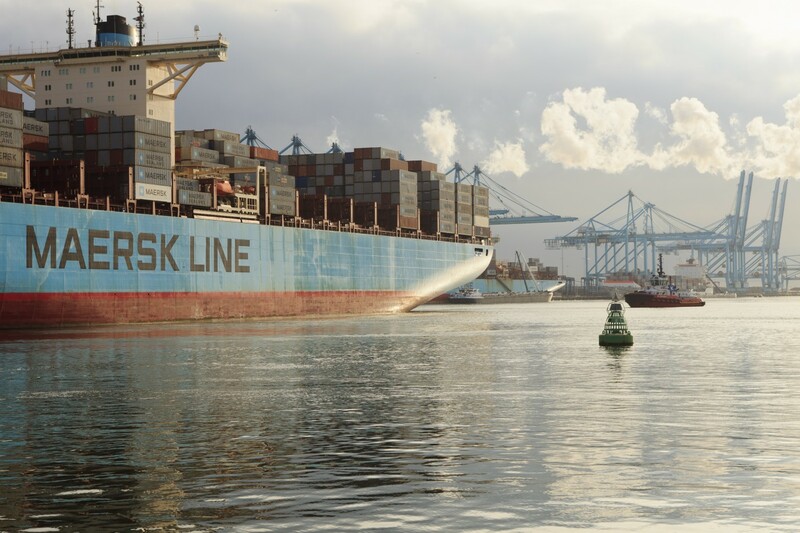 The Port of Rotterdam Authority intends to make a difference with digitalisation and to improve the efficiency and reliability of the sector. We play an active role in making data and information available and are developing applications that will benefit logistics and clients. This role includes investing in obtaining the data required and teaming up with customers on digital services and products. In 2017 we worked on the establishment and set-up of the Digital Business Solutions (DBS) department, the successor to the Rotterdam Logistics Lab. DBS focuses on improving sector efficiency and port operations with digital products and services. Its key tasks include developing new concepts and identifying opportunities for existing digital services and products. We are eager to be a part of digital developments that affect the overall playing field for logistics and ports. In addition, we are generating with DBS new sources of income by selling digital products and services to market parties in the Rotterdam port community, to other port authorities and to market players in global port communities. Rotterdam is profiling itself as “the new capital of cool”. As the 2018 ESPO Conference will be organised in Rotterdam, could you tell us more about your favourite place in the city? My favourite places in Rotterdam are Feyenoord Football Stadium ‘De Kuip’ and the river with its beautiful skyline. In addition to the port itself, the city of Rotterdam has many must-sees: splendid museums, modern architecture, exciting theatres. One of my favourites is the Walhalla Theatre in the Katendrecht district, just a few hundred metres away from our headquarters. 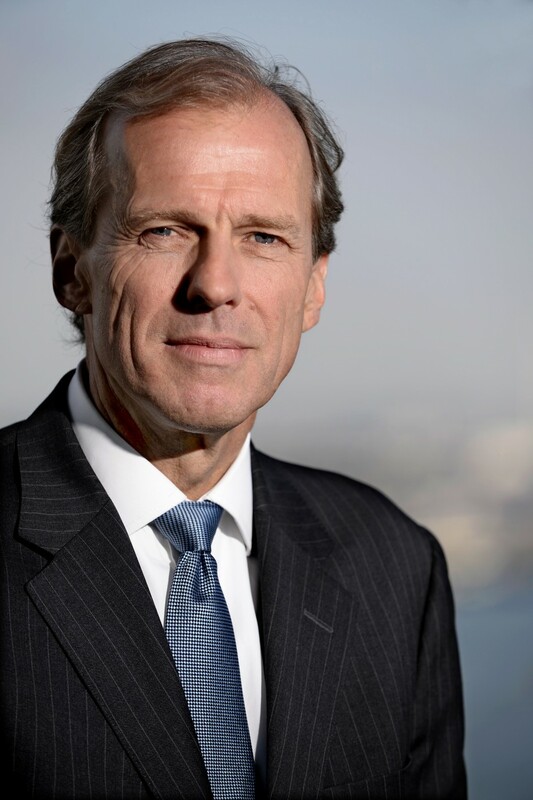 You have been the CEO of the Port of Rotterdam since 1 January 2014. What have been your biggest achievements so far? What were the biggest challenges? The aim of the Port of Rotterdam Authority is to strengthen the competitive position of the port as a logistics hub and a world-class industrial complex. Every day, every employee and every manager of the Port of Rotterdam works hard to achieve this goal. As a port authority, we are managing, operating and developing the Rotterdam port and industrial area in terms of both size and quality, and we are committed to the safe and smooth handling of shipping. We invest in the development of the existing port area, in new port areas, in public infrastructure and in the handling of shipping. We are currently putting a lot of effort into the energy transition and digitalisation. The pace of change in these areas is accelerating. The port must respond across the board in order to continue fulfilling its role as an important driver of the Dutch economy: creating economic and social value for regional and national governments, as a job creator and as a player in the broader transition towards a more sustainable energy system. In collaboration with many other stakeholders and parties, we are eager to take on that challenge.